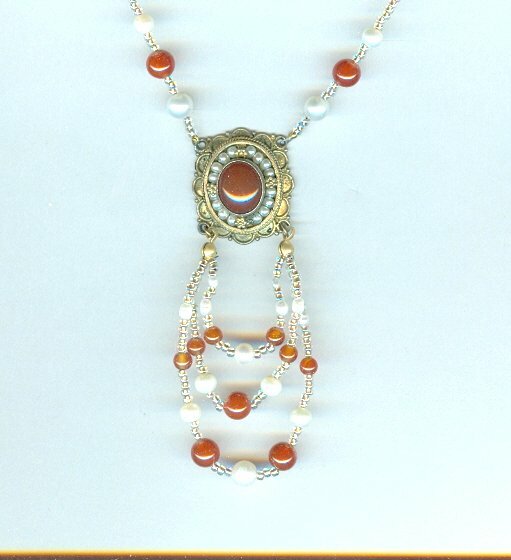 This pretty period piece stars a 22 x 25mm gold vermeil over sterling silver plaque which has been set with an oval carnelian stone surrounded by tiny pearls. The workmanship in the plaque is extraordinary. 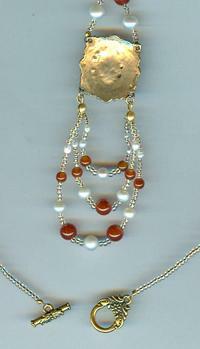 In this necklace, it's been suspended from a 19-1/2 inch strand of 4mm and 6mm polished carnelian round beads, 5mm and 6mm white freshwater pearls, and golden glow glass Japanese seed beads. 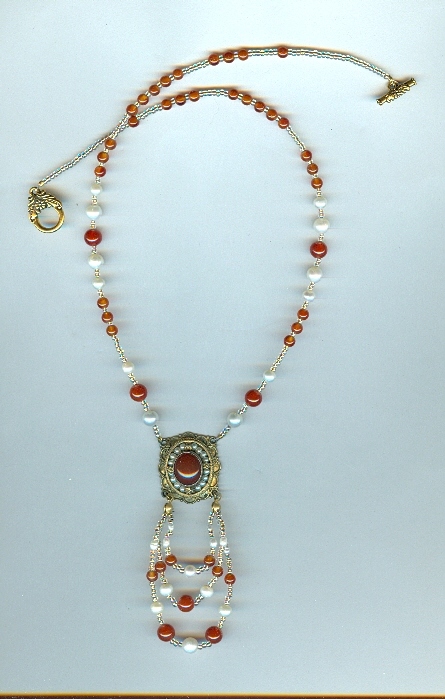 The looped fringe that falls about 2 inches below the plaque features the same beads. The necklace closes with a gold tone art nouveau style toggle set. It's another beautiful necklace from SPARKLE PLENTY. 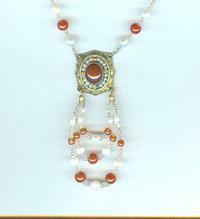 Lustrous white freshwater pearls glow like moonbeams on snow in this dainty pendant necklace.